When we come from a literate society where we can get books in a book store, on-line shipped to our house, on a tablet, on a Kindle or Nook, on our computer, where text-books are handed out for free in our schools we sometimes take some things for granted. For Christians one of those things is the Bible. We have fifty million translations, many churches have Bibles in the pews or on a table to pick up as you go into worship, and if you grew up in church, at least the United Methodist Church, you probably received the Bible as a gift at least 3 times before you graduated high school. I think as I entered college I had five different translations of the Bible sitting on my bookshelf and I hadn’t bought any of them. Where we work in Tanzania though, this is not the case. You enter church and you may find only 2-3 Bibles for a church of 20 people. Out of these 2-3 Bibles maybe one has all of its pages. I have seen people carry English Bibles to church that they have been given by well meaning mission teams just so that they can have a Bible with them in church…even though they can’t read it. I can’t tell you how many times I have been asked for a Bible, usually within 5 minutes of someone finding out I work for the church. People here are hungry for the word of God and they are tired of it being explained for them through missionaries, pastors, and church leaders. They want to have their own Bible, their own word of God that they can study and learn from themselves. I have at times been ashamed of how much development I have tried to bring into the local church as a missionary without putting the word of God as the top priority. I sometimes assume that this is already central in the church, but when 80% or better of your congregation doesn’t have a Bible this is a terrible assumption to make. I can’t rightly get upset that people don’t have a more full vision of the church when I, as a missionary, have failed to give them the one book that gives that full vision, not in my sermons or teachings, but the actual word of God for they themselves to read and understand. I write all of this to happily say that this is about to change. 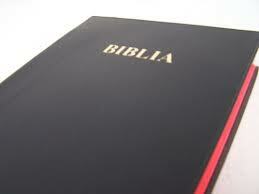 I am going this week to pick up Bibles to bring back to the churches of the Mara District. And this is just a small part of a conference wide project. Thanks to a recent agreement between Discipleship Resources International, a department of the General Board of Discipleship, and the Tanzanian Annual Conference, we have funding to purchase and then sell at a discounted rate, Bibles for the churches of Tanzania. While I am receiving Bibles for the Mara District, Bibles will also be distributed to all 6 of our other districts to be distributed to individual churches. This is the first step of our new publishing program. We have other books coming out, even this year, but we all agree that no other book is worth anything if we can’t first get the Word of God into the hands of Christians. This is the source of it all, the living Word of God to be used in the lives of people by the Living God. And I am honored to be a small part of this happening here in Tanzania. Anyone reading this who is so inclined, I ask that you pray for each person receiving this word of God in the coming months as the Bibles make their way to individual churches and then to individuals. That they be inspired by the Living Word of God to encounter, love, and receive the Living God.